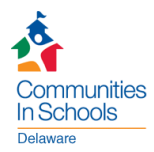 In 1995, Communities in Schools of Delaware, in partnership with Delaware Technical and Community College and individual school districts, developed a program to address the development of students’ academic abilities, life skills, and career or college planning. Since that time, On Track has been offered as three separate courses. On Track I, II and III focus on developing life skills/future planning and academic tips, internships and mentoring, and college awareness and financial planning, respectively. 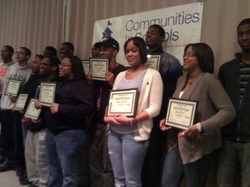 10th through 12th grade students who successfully complete On Track courses earn college credits. This, along with a completed college application and financial aid assistance, provide a unique and encouraging experience for students graduating high school. Continuing with post-secondary education becomes more logical, simple, and meaningful. Charting for Success (CFS) provides a streamlined and comprehensive approach to college and career information that models collegiate culture. Lessons engage 7th through 12th grade students and parents in planning for post-secondary education and/or training. Through activities and events, CFS addresses the key steps for future academic and career success: academic preparation, college/career exploration, college financing and financial literacy. Charting for Success (CFS) has two core modules; CFS 101 and CFS 102, each with 24 lessons. Parents, community members, volunteers and mentors are invited to participate.